Alphabet's (GOOGL - Get Report) Google unveiled its new cloud-based video-game playing and sharing platform, Stadia, at the Game Developers Conference in San Francisco on Tuesday afternoon. The new platform will be powered by chips made by AMD (AMD - Get Report) and will launch sometime this year. Stadia will allow players to instantly join games they view on YouTube via a "Play Now" button in the corner of the screen. Games will be available to play on desktop computers, laptops, tablets, TV sets and phones without requiring a console. 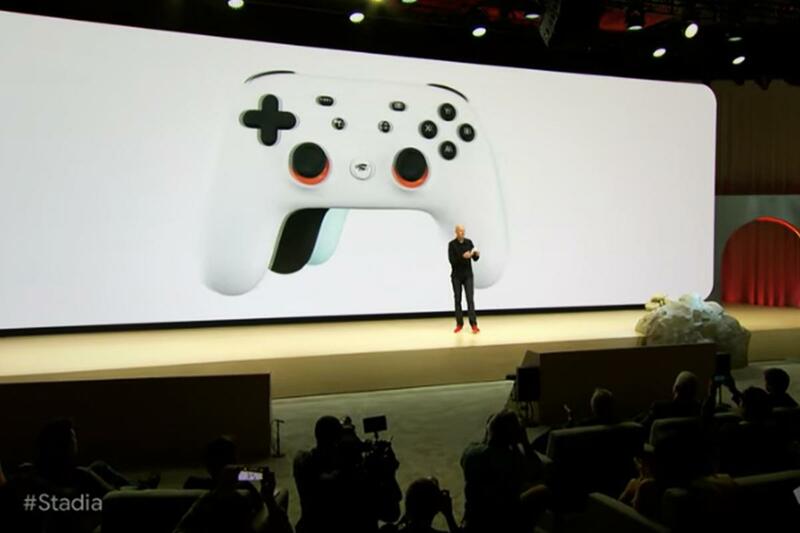 Google has also made a custom Stadia Controller that connects directly via Wifi to a Stadia game-playing session; it will have one button to share content with other users, and another to connect with Google Assistant. The company described Stadia at GDC as "one place for all the ways we play. Focused on gamers, inspired by developers, and amplified by YouTube creators." Google said Stadia initially will be available in the U.S., Canada, the U.K. and most of Europe sometime in 2019. Google vice president Phil Harrison, who joined the company a year ago after working at Microsoft (MSFT - Get Report) and Sony's (SNE - Get Report) video game divisions, told the GDC audience that Google had partnered with AMD to build a custom GPU to power Stadia. The GPU will be inside Google's data centers that run Stadia and will provide 10.7 teraflops of power, compared to 6 teraflops for Microsoft's Xbox One X console unit, and 4.2 teraflops for Sony's PR4 Pro, according to Google. At launch, Google said that Stadia would be able to provide up to 4K streams at 60 frames per second, along with HDR and surround sound. The tech giants are all racing one another to develop a streaming gaming platform, with Microsoft building out its XCloud service, Sony offering PlayStation Now and Amazon trying to entice developers to build and host games on its cloud. 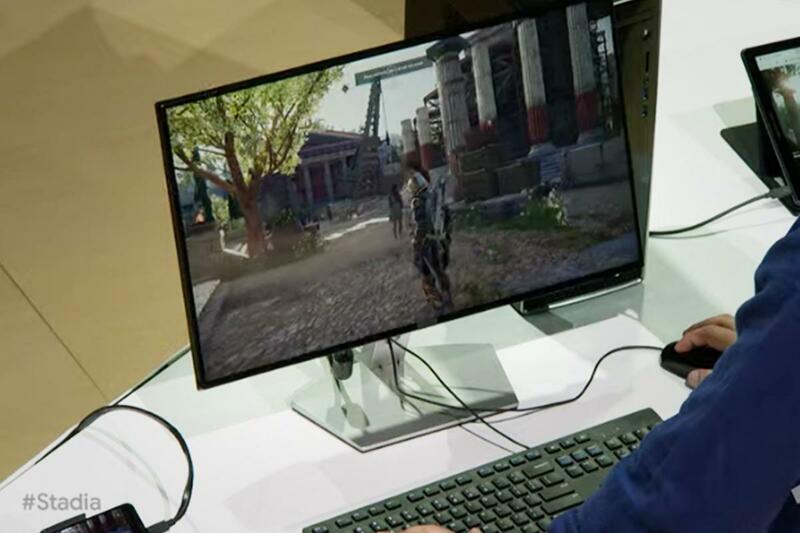 In October, Google had teamed with Ubisoft, the studio behind the popular Assassin's Creed series, to help it run its pilot program for Stadia called Project Stream, which allowed users to stream the game through Google's Chrome web browser. Zev Fima, analyst at Jim Cramer's Action Alerts Plus portfolio, which owns Alphabet, said that Stadia represents the "future of gaming." Alphabet shares were rising 0.8% to $1,198.26 on Tuesday afternoon. AMD shares built on gains earlier in the day to rise 9.2% to $25.38 following Google's announcement. Alphabet and Microsoft are holdings in Jim Cramer's Action Alerts PLUS Charitable Trust Portfolio. Want to be alerted before Cramer buys or sells GOOGL or MSFT? Learn more now.